Jacksonville, Florida – A copyright lawyer for Universal Music Corp., WB Music Corp., EMI April Music, Inc., Bovina Music, Inc., and B.I.G. Poppa Music, all members of the American Society of Composers, Authors, and Publishers (“ASCAP”), sued in the Middle District of Florida asserting copyright infringement against Latitude 360 Nevada, Inc., Latitude 360 Jacksonville LLC, Latitude 39 Group LLC, Latitude 360 Indianapolis LLC and Brent W. Brown. ASCAP is headquartered in New York, New York. Among the Defendants is Indianapolis restaurant Latitude 360 Indianapolis. ASCAP is a membership association. It licenses and protects the public performance rights of more than half a million members, including songwriters, composers and music publishers. 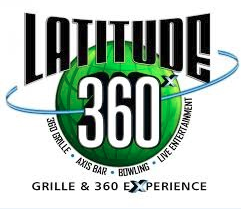 Latitude 360 Indianapolis is a place of business that offers public entertainment and refreshment. Plaintiffs have asserted that Latitude Indianapolis 360 infringed multiple copyrighted works by permitting unlicensed performances of copyrighted works belonging to Plaintiffs. Plaintiffs claim that, since November 2012, they have attempted to contact Latitude 360 Indianapolis and/or other Defendants more than 40 times to offer an ASCAP license but that these offers were refused. Four causes of action for copyright infringement have been alleged in this copyright lawsuit. Plaintiffs ask for injunctive relief against Defendants ordering them to cease publicly performing Plaintiffs’ compositions; and a judgment for statutory damages, attorney’s fees and costs. This copyright lawsuit was assigned to Judge Marcia Morales Howard and Magistrate Judge James R. Klindt in the Middle District of Florida and designated as Case No. 3:15-cv-01052-MMH-JRK.